Brand equity measurement is a core competency of The Blake Project. Over the years we have measured the equity of numerous brands across dozens of industries through the lens of our proprietary BrandInsistence brand equity measurement system, which measures the primary drivers of customer brand insistence. twenty-four most important category attributes, benefits and values. 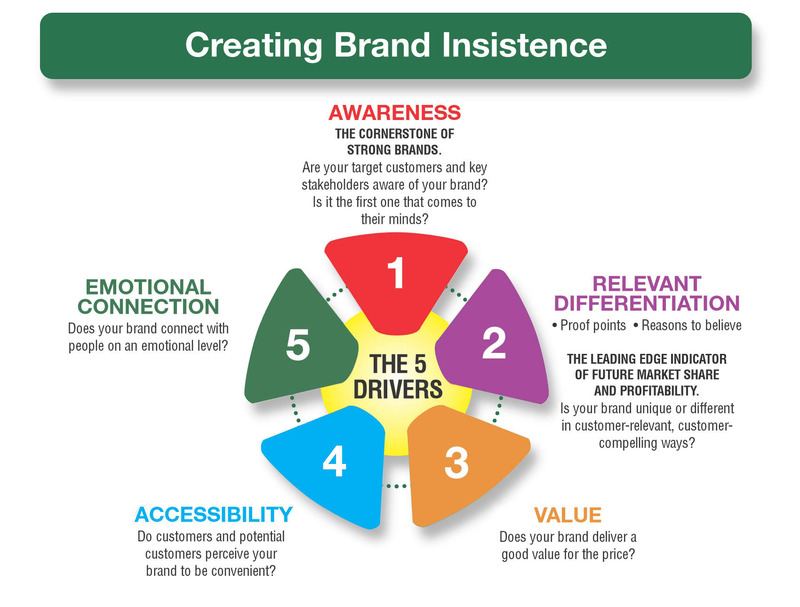 In addition, we measure (3) brand value perceptions, (4) brand accessibility and (5) the customer’s emotional connection to the brand. Together, these are the five drivers of customer brand insistence. We also measure (6) brand vitality and (7) customer attitudinal loyalty toward the brand. Finally, we measure (8) how strongly the brand exhibits different personality attributes. Most importantly, we measure each of these not only for our clients’ brands but also for their competitors’ brands. Positioning, by definition, is vis-à-vis something else, in this case, competitors’ brands. Based on these measures, we identify brand strengths, weakness, opportunities and threats (SWOT), including brand positioning SWOT. Finally, these lead to implications and recommended actions. Brand equity measurement that includes each of these metrics allows for problem diagnosis and correction. We recommend that this type of rigorous measurement be conducted once a year on behalf of the brand. Only if some substantial and extraordinary product or marketing action is taken might one want to conduct this type of measurement more frequently, most likely immediately before and after the action is taken. It is important to have selected the appropriate category description, competitive frame of reference and competitive set to include in the brand equity study. It is equally important to attain a large enough ending sample so that small movements in each of these factors can be detected. As the father of modern management Peter Drucker once said, “You can’t manage what you don’t measure.” This is true of brand equity as well. If you are responsible for building a competitive advantage for your brand you need to measure and understand what value your brand delivers to its customers.